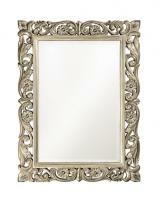 Frame Dimensions: 32" X 46" X 4"
Mirror Dimensions: 23" X 35"
A long rectangle provides a functional mirror for bathroom wash spaces with this Barcelona mirror. 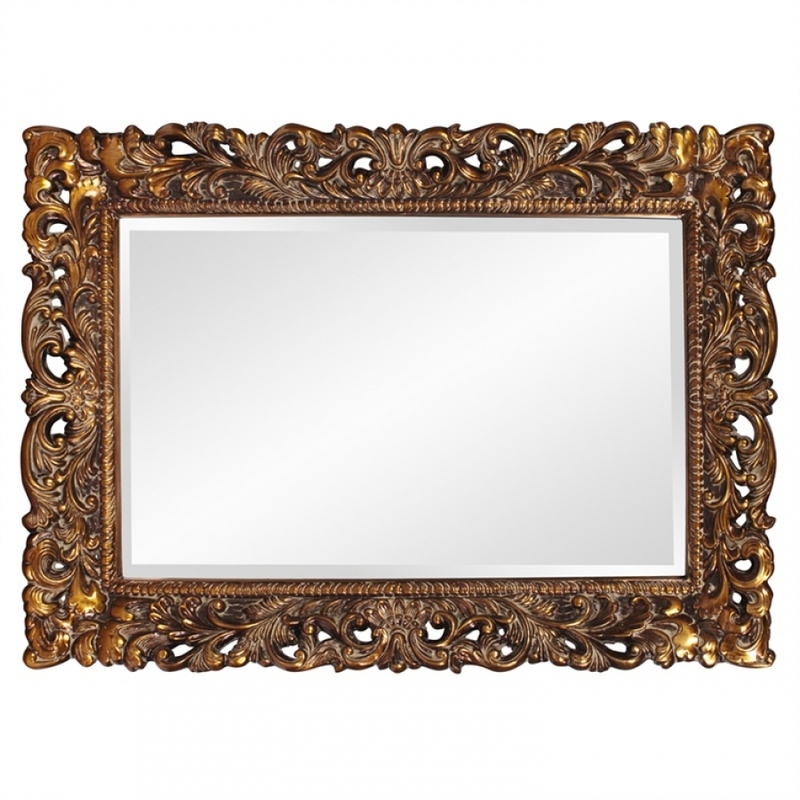 The luxurious resin border, which features detailed carving and is finished in antique gold leaf, would also make a great accent for your bedroom, living space or dining area. The piece would look spectacular over a fire place. 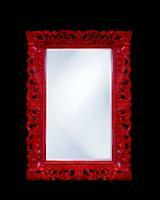 If you are not partial to the gold frame, you can choose from several custom finishes, including silver, red or blue. 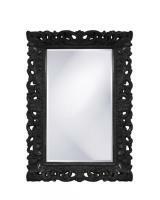 The mirror measures 32 inches by 46 inches and can be mounted either vertically or horizontally to best fit your needs. Comes with brackets for mounting. I purchased this mirror for a bathroom I was remodeling. The gold coloring has a copper hue to it. It is composed of a resin material, I will guess to make it lighter; but for the price would expect a little more. 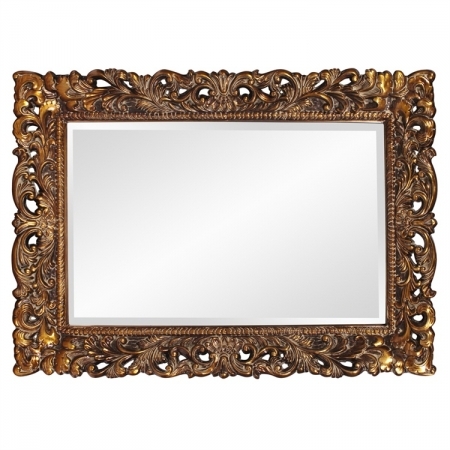 It has a very "rich" look to it & will be a beautiful enhancement to my bathroom. Delivery was prompt. 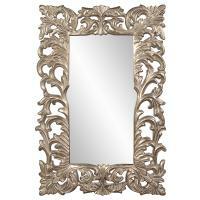 I purchased the mirror to go in my recently remodeled bathroom. The mirror looks outstanding in the bath room and I am impressed with the quality of the mirror. My mirror was recently hang in my remodeled bathroom. It added a finished look that was needed and it looks fantastic. The quality of it is outstanding.